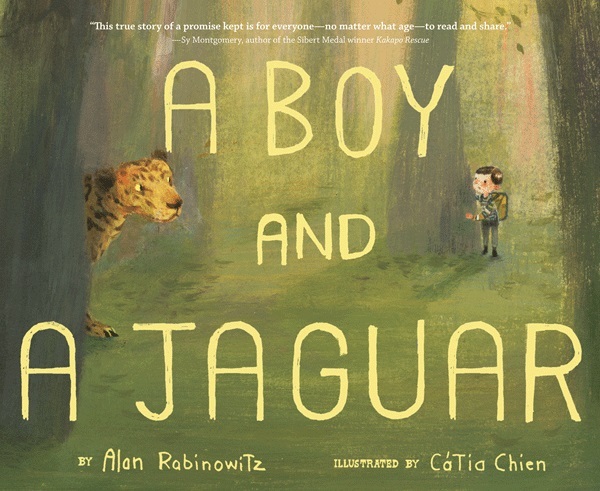 Rabinowitz, now the president and CEO of Panthera, a nonprofit dedicated to protecting the worlds 36 wildcat species, continues to reflect upon his adolescence in this beautifully illustrated picture book. In college he overcomes his stuttering, but still feels broken. He studies black bears in the mountains where he feels at home. He then moves to Belize to study and safeguard jaguars. It is here that he must face his biggest hurdle in convincing the Belize people and officials that they must protect jaguars through a designated preserve. This was such a rewardingly beautiful read and one that will resonate with anyone that’s shared a kinship with animals or felt like the black sheep in the flock. At some point in our young or adult lives, we can resonate with Rabinowitz’s story and join him in this promise to use our voices to help others – animals too – who have been ignored, misunderstood, and hurt.